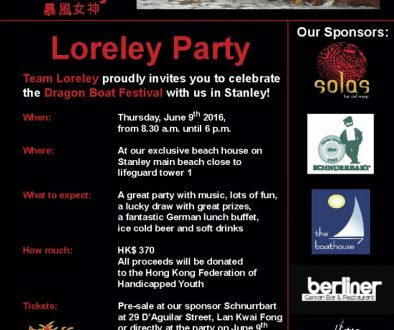 Team Loreley invites friends and new team members to our OPEN DAY 2017. 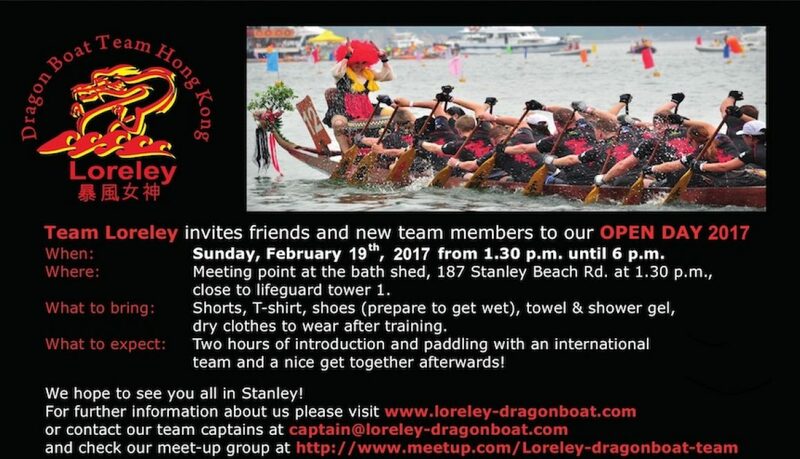 When: Sunday, February 19th, 2017 from 1.30 p.m. until 6 p.m.
Where: Meeting point at the bath shed, 187 Stanley Beach Rd. at 1.30 p.m., close to lifeguard tower 1. What to bring: Shorts, T-shirt, shoes (prepare to get wet), towel & shower gel, dry cloths to wear after training. What to expect: Two hours of introduction and paddling with an international team and a nice get together afterwards!